Please Note that this Seat Belt Extender is designed to fit 95% Vehicles. 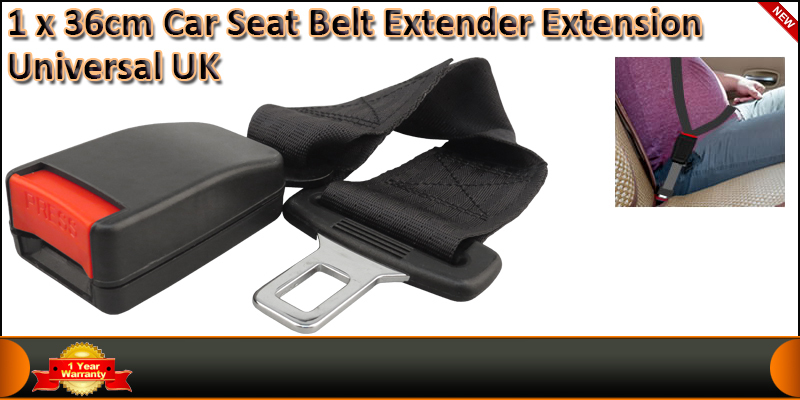 Please make sure to compare this extender with your original Vehicle Seat Belt before purchasing. improves comfort of your existing seat belt. ideal for use with baby and infant car seats. · Stopping the beep for those who are seat belt exempt. Total Length: 360mm (14 inch) approx. Webbing Length: 225mm (8.75 inch) approx.